Looking for a perfect spot to have a peaceful picnic lunch with your family and friends? 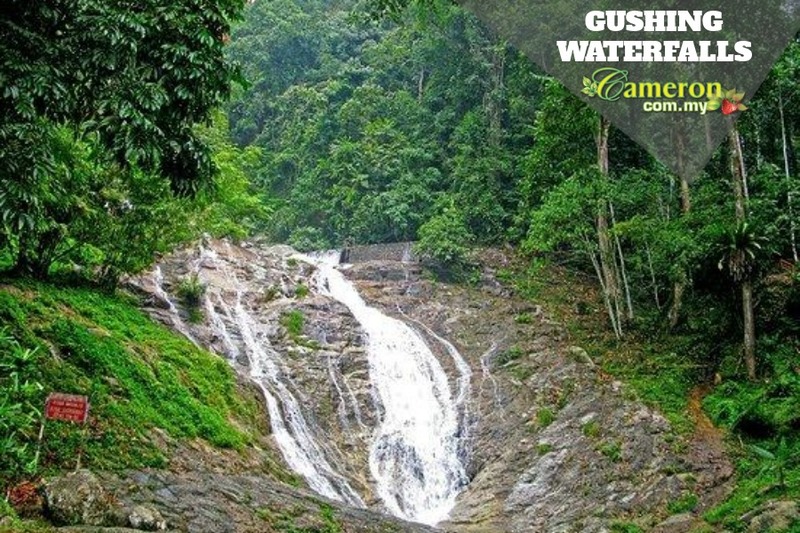 Check out some of these excellent waterfalls – Lata Iskandar, Parit Falls and Robinson Waterfalls. The streams that meander through the rainforest flow into the rivers and finally, the waters cascade down from a height of about 25 metres at Lata Iskandar falls. The fast moving waterfalls gushing into a series of rock pools and hit the rocks at the bottom is the best spot to take a picture. It is best not to swim or dive into the pools but you may dip your legs and enjoy the cool water in the stream. On another note, Parit Falls is not as beautiful as Lata Iskandar because the streams here are polluted with garbage. You may jump into the pools to swim but most probably, the sight of garbage will disgust you and you’ll just turn around and walk-away. But the park is well-developed (not well-maintained) with several facilities such as tiled walkways and a playground for children. Besides that, adventurous jungle explorers can trek along the trails here that are connected to the telecommunications tower at the peak. Robinson Waterfalls that is located somewhere near Tanah Rata town is highly recommended for those who are looking forward to spend some quality time with your loved ones to have a wonderful picnic lunch while enjoying the stunning scenery of gushing waterfalls. Those with vehicles have to park right at the entrance leading to the waterfalls and you’ll have to walk along the path quite some time (approximately 10 minutes) before reaching the waterfall area. Bear in mind that there is no swimming area here as the waterfalls stream into a steep hill slope thus it is dangerous for one to dive into the fast-moving waters. Some have complained over the bad smell caused by drain water that flows from nearby farms. While visiting Cameron Highlands take a short hike or drive up to these beautiful waterfalls. The water is nice and cool and there are many shops around selling local food, drinks and items. Make sure that you take the time to swim in the beautiful water below the waterfalls. After you are done with an awesome swim make sure that you pick up a souvenir from one of the vendors surrounding the falls. If you are looking for a tasty treat then you definitely need to try some of the awesomely fresh corn that is being sold. Also don’t miss out on the net bridge which is fun to cross over. If you love items made of bamboo and wood you can definitely find some amongst the road side stalls. This is definitely a great place to visit. With the beautiful waterfalls being surrounded by beautiful greenery you will definitely not regret the visit. This is an ideal place to go for a wonderful swimming or to have a lovely picnic. You will love being surrounded by the beautiful natural beauty of Cameron Highlands. Make sure that you don’t miss the beautiful hiking trails located around the falls as well.